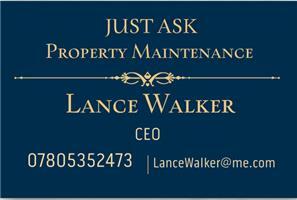 Just Ask Property Maintenance Ltd - Bathrooms, Bedrooms, Home Improvements, Kitchens based in Carshalton, Surrey. Hi there - thanks for taking the time to view our company. We are a family run business covering all aspects of home and proporty improvements, maintenenace and renovations. Between us we have over +70 years of experience. We have pictures showcasing a variety of our works (as you will see Im not a photographer by trade) from our very happy customers. Please feel free to enquiry!